3:1 student/teacher ratio, the smallest class size in the industry. 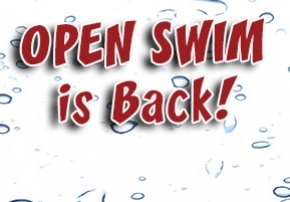 This increases safety and swim time at the lowest price per class around! All employees are extensively background screened and drug tested at pre-employment. We also have a monthly random drug screen program to ensure your child is in safe hands. In addition, all instructors are American Red Cross Lifeguard certified. 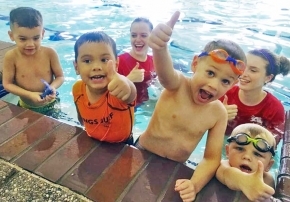 Instructors must obtain Lifeguard certification and complete 40 hours of training in our AquaSteps program that was developed on the foundation of over 25 years of experience in professional swim instruction for children. Next, the instructor will complete a course taught by the owner of AquaKids before taking their own classes. We strive to make sure our customers are receiving quality swim instruction. 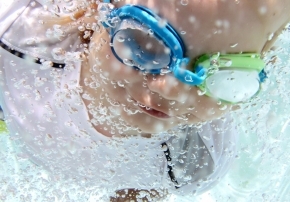 AquaKids offers year round swimming lessons and birthday parties for all ages in a safe, friendly envoirnment. 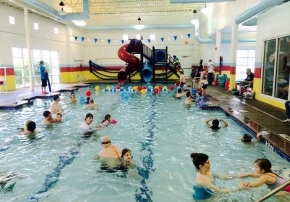 Our pools are indoor and heated, which means happy and sunburn-free swimmers. We invite you to sit back and relax as you observe your child having fun while learning the lifesaving skill of swimming. Come experience the AquaKids advantage. Splash On In today! New Changes in 2019! 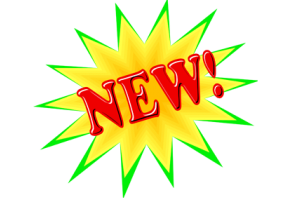 New Changes in 2019! Spring 2019 Enrolling Feb 1st! Spring 2019 Enrolling Feb 1st! As a mom of 2 who has never written an online review, I was waiting for the right time. 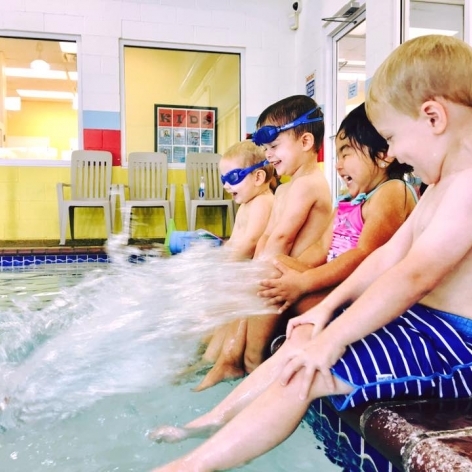 After trying out a couple other swim schools, Aquakids ended up being the best choice. My son had always been quite afraid of the water and would sometimes not even want to go past his knees into a swimming pool. So getting him comforable with the water before his fear worsened was of utmost priority. 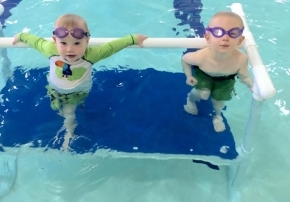 Instead of going through baby steps, Aquakids had my son go through skills and exercises that gently forced him to get familiar and comfortable with the water. He went from a kid who was in tears and sobbing, to a kid who was so proud of himself after his 1st session. Every person's experience will differ, but it is worth giving this school a try! Here's to their continued success, care, and commitment to their kids! In speaking with other parents at the community pool, I have found that an overwhelming number of parents weren’t happy with their swim programs that their children took part in (not AquaKids®). They constantly said it was more play than anything else. I have never felt this way with AquaKids® and willingly tell everyone to come to you. I am very thankful for all that my child has learned and look forward to many more successful classes in the future. I really enjoyed Christina’s overall teaching style and personality. I was really impressed! My son started the morning crying out of fear before going to the lesson, but instantly was made to feel comfortable & by the end was swimming across the pool. (He's taken lessons in the past, but hadn't been in the water in a very long time.) He left saying, "That was so much fun! Can we come again tomorrow?" I was really impressed by the teachers & their knowledge. The facilities were great, staff was very personable, & even their classes have a very low student to teacher ratio. We had such a great experience! Looking forward to our next lesson! I highly recommend AquaKids! We love Aqua Kids! The class sizes are very small and all the instructors are wonderful. Andrew has been an absolute gem with both my girls. My 2 year old is starting to feel more comfortable in the water and going under water after just a few days. My 4 year old has also gained so much confidence and is well on her way to mastering the class objectives ahead of schedule. 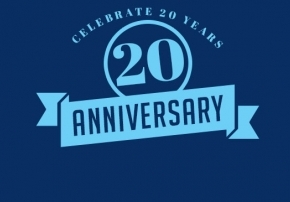 We have been with AquaKids for 10 years. We love the low student-teacher ratio and the individualized instruction that each student receives. Teachers know what the kids are capable of and encourage them to do their best. The biggest testament to AquaKids is that both of my kids could swim and swim well years before their peers. Strangers would come to me at public pools and ask how I got my almost 3 year old to swim and jump in and dive to the bottom at 3. I would just tell them AquaKids. 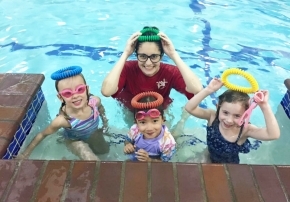 Swim lessons at AquaKids was the best choice in lessons we have ever made for our children. It is possible that the time we spent here has saved our children's lives. We have had such a great experience here!! The swim instructors are top notch! When we began our overly brave 2 yr old had NO skills! He can now swim 6 ft, jump in and get back out of the pool unassisted! He has made great progress and I now have confidence as a mom that he won’t drown! His back float looks great and he loves diving deep for rings! Highly recommended!! I was really impressed! My son started the morning crying out of fear before going to the lesson, but instantly was made to feel comfortable & by the end was swimming across the pool. (He's taken lessons in the past, but hadn't been in the water in a very long time.) He left saying, "That was so much fun! Can we come again tomorrow?" His teachers were wonderful & very knowledgeable. The facilities were great, staff was very personable, & even their classes have a very low student to teacher ratio. Looking forward to our next lesson! I highly recommend AquaKids! Save your house from spilled cake, punch, and wear and tear, host the party at aquakids instead! 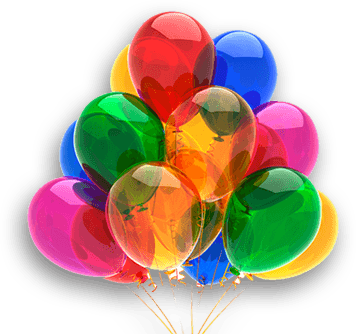 Celebrate your child’s next birthday party or other special event with us.